The American Airlines investment will allow for more trans-Atlantic flights, officials said. Kennedy Airport’s Terminal 8 will get a $344 million makeover with new amenities that include enhanced baggage systems and premium lounges, officials said. Four months ago, Cuomo unveiled plans to rebuild the Queens airport, promising to increase its capacity without adding runways. American Airlines is paying for the Terminal 8 makeover, officials said. 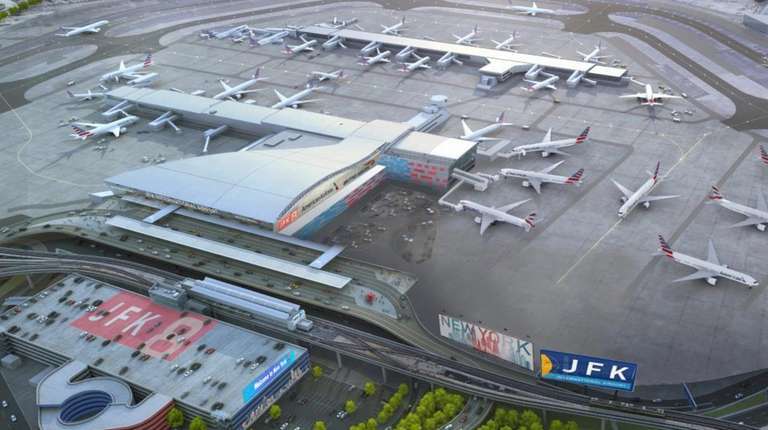 “Today that transformation is well underway, with an extraordinary private investment that will turn JFK into a truly modern airport,” Cuomo said in a news release. The airport served about 61 million passengers last year, and the Port Authority expects that number to rise to 75 million by 2030. The new Terminal 8 will add 70,400 square feet to the current 1.5 million square-foot terminal, according to the Port Authority. There will be five additional wide-body gates to allow for more trans-Atlantic flights. British Airways will move from its current location in Terminal 7 to Terminal 8 when the project is complete, which is expected in 2022. 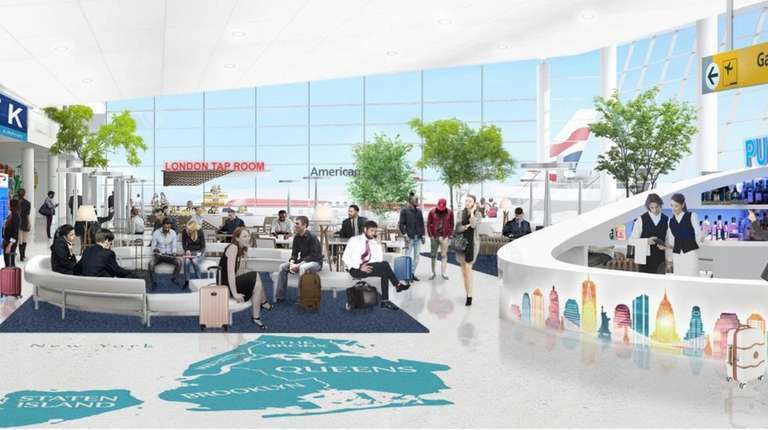 “Offering the best customer experience at JFK now and in the future is a top priority,” said British Airways chairman and CEO Alex Cruz. Terminal 7 will be demolished as part of JetBlue Airways' plans to redevelop the site for its $3 billion expansion. Chau Lam reports on a wide range of topics: from crime and courts to aviation, hurricanes and 9/11 first responders.